I remember well the quizzical looks I received from people when I told them about my plan to cycle across Australia. Most thought it simply impossible and some just figured I was nuts. Perhaps, if I hadn’t been young and invincible (this was 1996), I may have started to question my sanity as well. In the end, of course, it was a quite realistic objective and, I found out once I hit the road on my first trip by bike, one that I shared with many others on the planet. Travelling by bike has gained in popularity quite a lot in the last 15 years, but it still represents a fraction of a fraction of comparable voyages by motorized transportation. There are an infinite number of reasons for this, obviously, but a lack of information on how to go about doing it is probably one. This little guide is not meant to replace the resources available – there are excellent websites devoted to the subject of travel by bike these days – but I thought that putting it in one article might help somebody out there piece together the puzzle a little, at the same time presenting a simple picture of what ‘cyclotourism’ might look like. A bike touring starter kit, if you will. For some people, the idea of traveling by bicycle is so far out on the fringe that the thought of doing it would simply never come on its own. For me it was certainly like that. When I was traveling in the mid 90s (by backpack) I would see the occasional oddball on a bike plying the roads of Asia. I immediately realized the kind of freedom these eccentrics had achieved compared with bus or train travelers: making their own routes, getting off the beaten path, and with no schedules to follow, other than self imposed. The seed was planted, and a year later I bought a used mountain bike and did the trip I referred to above. So the first hurdle to get past is ‘yes, it can be done’. No special talent is needed. You don’t need to be an athlete. Really, all that is necessary is the desire, some equipment, and a little bit of information and you’re on the open road. ‘But why bother?’, you may ask. ‘I’ve only got a couple of weeks holiday and I want to see as much as I can. I’ll never get anywhere on a bike’. Good point. You won’t get nearly as far on a bike as you would on a train or in a car – no question. However, if you can get past the idea that travel is about the destination, and realize that it is, indeed, about the journey itself, the bicycle starts to make perfect sense. Riding a bike forces you to focus on your surroundings, and the relatively slow pace allows you to get much more appreciation of where you are. Compare this with train travel, which, at 250 kph or more (in Europe at least) is obviously all about getting you from A to B, neglecting whatever might be in between. Add to this the inherent ‘green’ nature of the bicycle and you can even do your bit to save our planet – somebody needs to since most governments don’t seem to be trying! See my previous article on the carbon footprint of cycling for a little more on the subject. This might be the biggest factor that prevents folks from embarking on a voyage by bicycle, i.e. the cost of buying everything you need and perhaps not knowing what to buy in the first place. No doubt, you’ll pay, but if you replace car/train travel with the bicycle for a few years, that cost will be recouped many times over. Now to the gear itself. The first thing I would say here is you don’t need the best, most expensive stuff out there. I’ve seen everything from $6000 hand-made touring bikes to Chinese shopping bicycles plowing the long-distance roads. It is possible, with a little creativity and forethought, to travel by bike on just about anything you want. However, if you want piece of mind and few mechanical hassles on the road, you are best advised to get yourself something that comes close to looking like a touring bicycle. 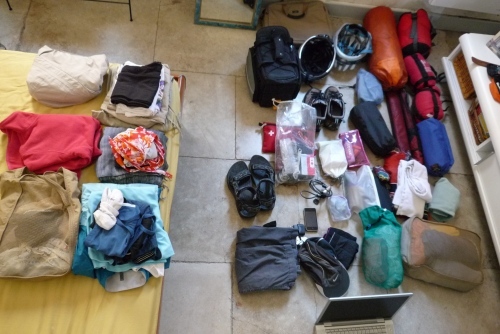 I’ve done trips on a mountain bike, touring bike, cyclocross and even a racer, so it really depends on what type of trip you plan and how much stuff you are willing to leave at home. If you buy a proper touring bike you won’t have to think about this, but if you get a hybrid or other type, then make sure your bike has eyelets on the seat stays to attach a rear rack to. The photo below is a little blurry, but you get the idea. The rear rack attaches to the seat stay at top and eyelets make it a much easier procedure (although it is certainly possibly without them). I’ve heard of people riding long distances with huge backpacks, but having done one multi-day trip with a very small, light pack, I can say without reservation that this is to be avoided at all costs. Give all the weight to the machine that has been designed to take it, i.e. the bike, not your back. The classic means of carrying gear is the pannier – a bag that fits onto a rack you attach to the front forks and/or the seat stay and rear dropout of your bike. Depending on how much stuff you need to carry with you, you can have as few as two panniers and as many as four (plus a handlebar bag and another monster you can put on top of the back rack, as modeled by Nigel above). You can really carry an incredible amount of weight, if you so choose. Another way that has been gaining in popularity over the past decade or so is the trailer. The trailer has some advantages over panniers. 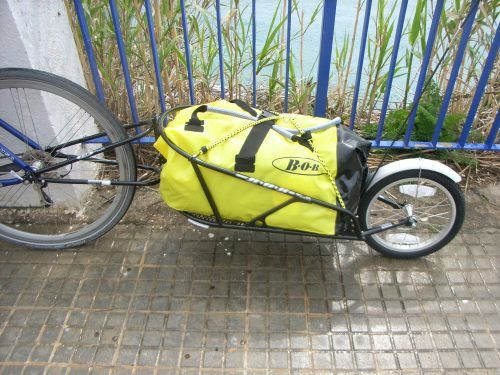 For example, if you carry everything on it (without also loading your bike up with panniers) your bike will be carrying much less weight – just you and a portion of the trailer weight. This could lead to a longer life for your bike and fewer risks of mechanical problems. The trailer is also ‘one piece’, so when unpacking at a hotel, for example, you just unhook the trailer and take it up to your room (if you can lift it!). Having a bunch of panniers is unwieldy and you end up with several items you need to carry around. However, there are disadvantages to trailers as well. You need to have a degree in physics to figure out how to back up, for one. It takes some getting used to. The bike/trailer combo also takes up a lot of space, so parking can be a problem. You basically need a space twice the length of a bike to park. There is also the question of speed, with the extra tire (or tires) of the trailer adding more friction when you roll. To be hoest, I don’t feel this at all on the flat, but I do when climbing. It really seems like you are dragging something up the hill with a trailer. Also, although I’ve never had this problem, the trailer is one more piece of equipment (with moving parts) that could have trouble. This is an important question for anyone travelling anywhere, by any means. The simple answer is ‘as little as possible’, in my opinion. Obviously, much depends on where you plan to ride and what type of trip you are looking at, so a 2-week trip through Europe could look quite different from a 3-month voyage into Central Asia. For simplicity’s sake, I’ll assume we are talking about ‘vacations’, and not long travel, so something close to home (unless you live in Central Asia of course!). Your choice of accommodation (below) will have the biggest effect on how much gear you need to load up and carry. If you camp, for example, you’ll need a tent, sleeping bag, mattress, towel, reading lamp, cooking gear (maybe), etc. This, believe me, weighs a considerable amount, no matter how much money you spend on it, plus it takes up a ton of space. 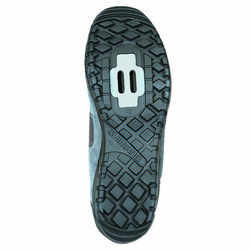 First and foremost you want footwear with a stiff sole. Cycling puts tremendous pressure on the feet and having something tough between them and your pedals is essential for long hours in the saddle. I travel with spd pedals usually and cycling shoes with soles that encase the cleats, allowing you to be able to walk around like a normal human when you stop (the cleats are ’embedded’ in the sole), something most road bike pedal systems don’t allow for. I do know plenty of riders who prefer hiking boots or any other type of stiff-soled shoe/boot. There are pros and cons to both, I suppose, so I think it will come down to personal preference. I would say though, just to continue on with the ‘road bike pedal system’ thought above, that travelling using Look (for example) pedals is going to prohibit you from from walking. If you don’t want to walk, then go for it. This is going to depend on many factors, such as how long your trip is, how far you want to travel each day, your comfort zone with traffic, etc. I think, however, all cyclists will agree that the fewer cars the better. Google Maps is a great way to start your planning. If you know your start and finish points you can easily find directions. Use the ‘walking’ icon and you will get small roads for the most part. At least they won’t send you on highways. From here you can adjust the route as you like by dragging the line to suit your needs. It is an excellent way to get a sense of distances. I’m still old school though, so I always buy paper maps before any trip. Spreading them out on the living room floor to plot an adventure is a joy I just can’t get from a computer screen. They are, of course, great ways to get you where you are going on the road as well. Try to find a map with a scale of 1:150,000 or even smaller. 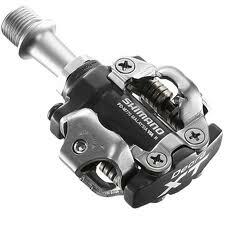 Also, look for one that gives you an idea of elevation gain or at least climbs. Michelin, for instance, has little chevrons (one, two or three) to indicate the steepness of roads. Essential stuff to know. GPS devices are nearly standard equipment these days with cyclists of all shades and they make perfect sense for the cycling traveller, I’d say. The Garmin Edge 800 Touchscreen GPS Bike Computer, for example, has a touch screen, loadable maps for many countries, directions to your destination and, obviously, the wonderful knowledge of knowing where you are all the time. I don’t know enough about these computers to make a strong judgement one way or another, but I would say that one thing I’d be careful of are the directions they give. Don’t believe blindly in the wisdom of a computer. I can certainly see the advantages in them though. Taking a paper map out of your handlebar bag every 2nd intersection is a drag, both mentally and on time. Allow you to drastically reduce the amount you need to carry (see above). After a hard day on the road, a little ‘luxury’ is pretty nice. Generally more efficient for getting unpacked after the ride and getting ready in the morning (e.g. no need to strike the tent). More expensive than camping, usually. There might be no place for your bikes, or it could be a hassle to find one (although I’ve rarely had any troubles). Easy. Just ride in and pitch your tent. There’ll be no weird looks and negotiating a place for your bike. Cheaper than hotels for the most part. In Europe campsites often have restaurants on site, so no need to go out and hunt for food. Great places to meet other cyclists. Usually outside towns, so you won’t need to deal with city traffic to get to your bed. From my experience, traveling with your bike on any other form of transportation (except a car) is a hassle I’d try to avoid at all costs. That being said, I nearly always end up doing it and you will too, I think. You just need to if you want to go far away from home. People takes bikes on planes all the time, so you should have no trouble at least getting information about it from your airline. Every airline has different rules concerning price, how the bike needs to be packed, dimensions, etc., so check before you buy your ticket. My only strong piece of advice here is to pack your bike in something hard, if at all possible. I think I’ve had my bike damaged on every flight I’ve taken it on, evidenced by the look on my face in the above photo, probably arriving with a bent fork…again. I haven’t tested this (the EVOC bike bag) myself, but I’m assured by my friend, Tim, that it is excellent. Check out his review here. Europe, where I live, probably has the most bike-friendly railways in the world, but even here it depends on the country and type of train you choose. Again, look for information on the rail company’s website to find out (if you can) which trains take bikes. If it’s France you are going to, check out this blog article on the different types of trains here and their policies for taking bikes on board. DB Bahn has an excellent search engine for just about anywhere in Europe. There is even a box to click for ‘bicycle’, so results will have only trains that allow bikes. Renting a car to get you where you want to start your bike trip could be a good idea. I’ve found that renting is sometimes even cheaper than train, especially if you are more than one person. Make sure to get a hatchback or van, i.e. something with enough space to get your bike into. However, even a compact is big enough for two people, two bikes and a little gear, if you are creative in your packing skills. 1. Drop off fees. Most likely your trip by car will be one way. There is always a fee to leave the car at another agency, sometimes it’s very high. 2. Mileage. In some countries you get unlimited no matter where you rent from, in other countries it is unheard of. Read the small print. Bus companies are not nearly as accustomed to taking bikes as trains are. I’ve done it, without major hassles, but I wouldn’t recommend relying on this way of travel. The bike can only go in the baggage compartment at the bottom of the bus, and therefore will probably need to be at least bagged (and maybe boxed), meaning disassembly. There is a greater likelihood of the bike getting damaged, too, since buses don’t travel as smoothly as trains. Although many ferry companies don’t seem to advertise the fact, they are probably the most bike-friendly form of transportation out there. Just roll your bicycle on, lock it to a railing, and roll it back off again. It’s always been that easy for me, at least. Sometimes there’ll be an extra fee for the bike, but often you will just pay the pedestrian price – a fraction of what you would pay in a car. I’m forgetting lots and not including many other things intentionally, but I hope this litte guide will arm you with enough information to at least get you motivated into considering a more sane way to travel – two wheels and self propelled. 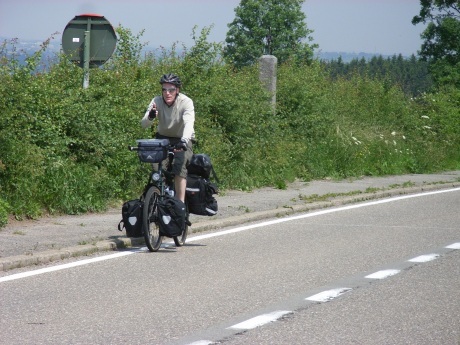 This entry was posted in Cycling and tagged bike touring guide. Bookmark the permalink. Great post, Gerry. That luggage trailer looks like a good accessory but something we never thought to invest in at the time. Maybe if Chris and I ever get touring again, when the kids have flown the nest and the llamas are in a retirement home, we’ll give it a try. I think this article would make a good non-fiction Kindle short or mini ebook. The trailer is handy, no doubt. I’m still torn between it and the panniers though. Makes for hard decisions when we head out on the road. How old do llamas need to be to retire, anyway?